There’s nothing as tasty as home-grown produce, right? Many of us have vegetable gardens or fruit trees in our yards. Were able to grow varieties not available in stores, control what is put into the soil and on the plants, and harvest at the peak of ripeness. Slow Food Orange County wants to help provide that experience to others throughout Orange County. 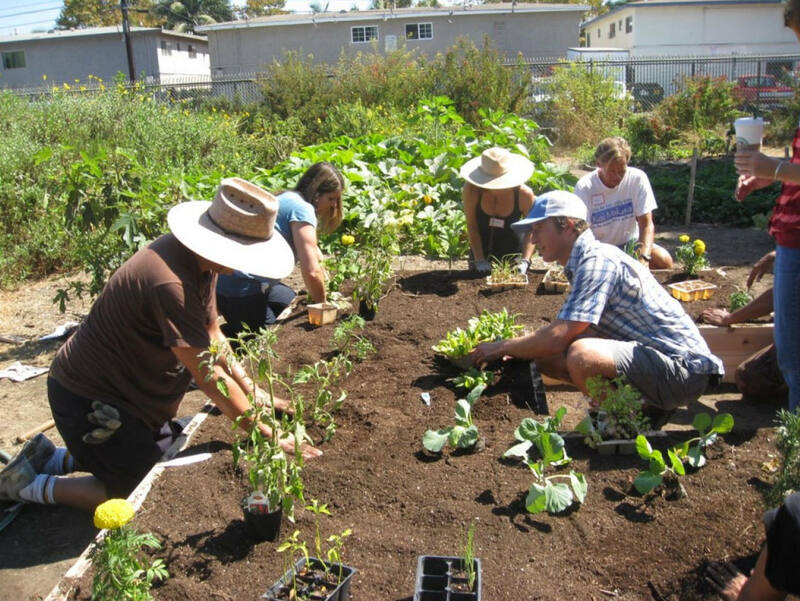 By using the land at schools, churches, parks, and businesses to grow edible gardens, we can help feed the hungry, teach others about growing and cooking from the garden, reduce our dependence on food brought in from outside Orange County, and build community. working with The Ecology Center’s Grow Your Own program to support the teachers responsible for school garden programs. Slow Food Orange Count is participating in the Slow Food USA National School Garden Program, which is being expanded thanks to a grant by Chipotle Mexican Grill. The goals are to teach children how to grow and cook food, the importance of healthful eating, and the importance and variety of food from different cultures. You can read more about the program here. The National School Garden Program and the Chipotle grant give Slow Food Orange County the opportunity to continue and expand its support of school garden programs through a more formal program and through collaborations with other organizations such as The Ecology Center. If you are interested in volunteering or would like to suggest a location for our next project contact gardens@slowfoodoc.org.